A digital platform that connects travelers with local artists for an authentic experience. Through booking various art tours, users can connect with local artists anytime at anywhere. A digital platform that connects reliable technicians with users who face household problems, at an affordable price. A digital platform where users can book an appointment with a beauty salon with ease. Users can also order a freelance make-up artist to their house with a few simple clicks. A digital platform that utilises QR codes, so when vehicle owners check in and out of a parking space, they need not worry about losing a ticket and can enjoy increased security as well. A digital platform for tutors and students to meet through a customised search based on pricing, subject and availability. Tutors are able to upload their experience, achievements and educational background to promote themselves to potential students. 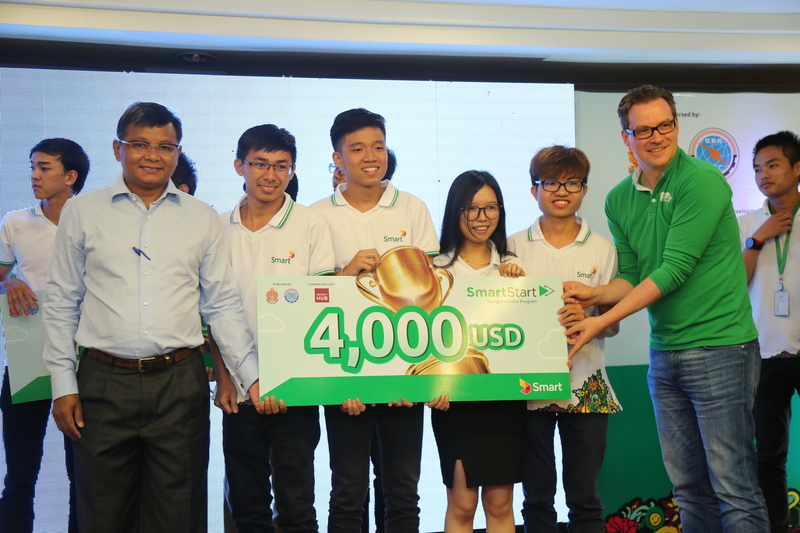 All 15 teams competing at the pitching event at Phnom Penh’s Sunway Hotel on Saturday delivered impressive final pitches that awed not only the audience, but also the panel of distinguished judges consisting of: Thomas Hundt, CEO of Smart Axiata; Kanishka Wickrama, CFO of Smart Axiata; Zoe Ng, Managing Director of Raintree Cambodia; Kem Bora, Partner of Mekong Strategic Partners; and Alberto Cremonesi, the CEO of Impact Hub Phnom Penh. 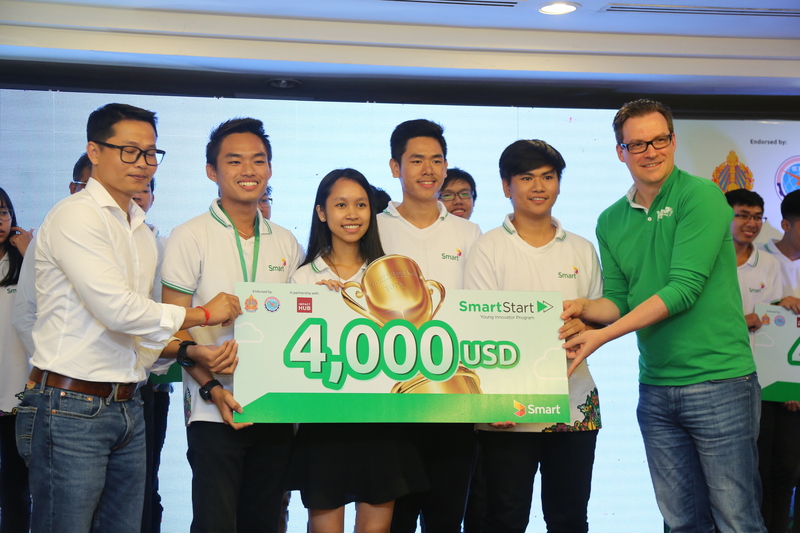 SomJot team leader Sokunthaneth Chhoy spoke of his excitement at being selected to continue receiving support under the SmartStart programme. 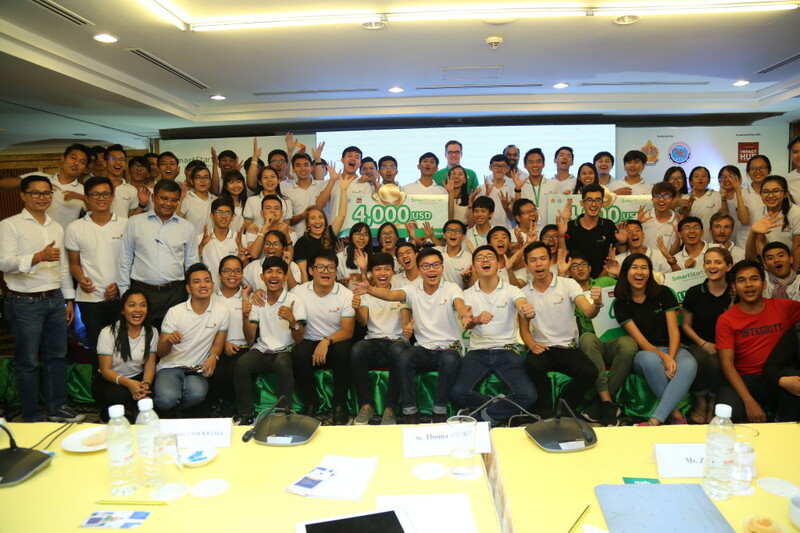 For judge Zoe Ng, Managing Director of Raintree Cambodia, all 15 pitching teams demonstrated huge growth from their initial ideas and plans. 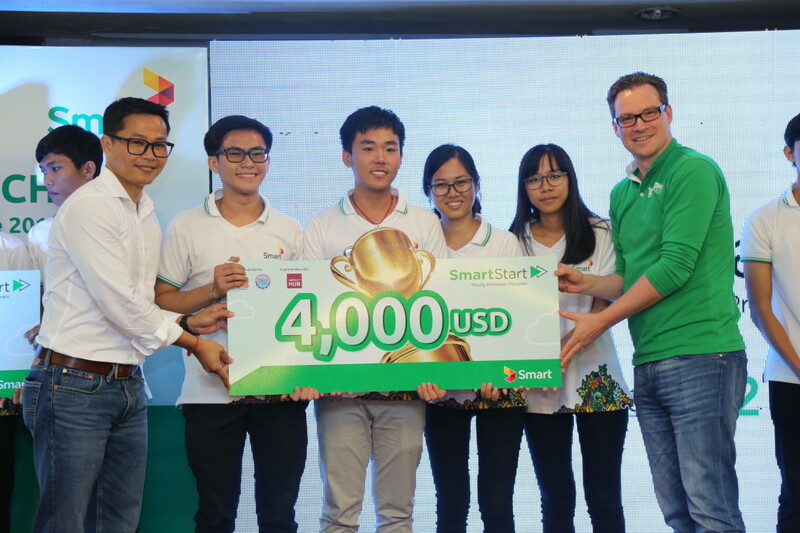 This year, the SmartStart programme received additional government support from the Capacity Building and R&D Fund, and Saturday’s event was attended by the Minister of Education, Youth and Sport H.E. Dr. Hang Chuon Naron, and the Secretary of State from the Ministry of Posts and Telecommunications H.E. Dr. Kan Chanmeta, which signalled the strong government support that SmartStart Cycle 2 has received. 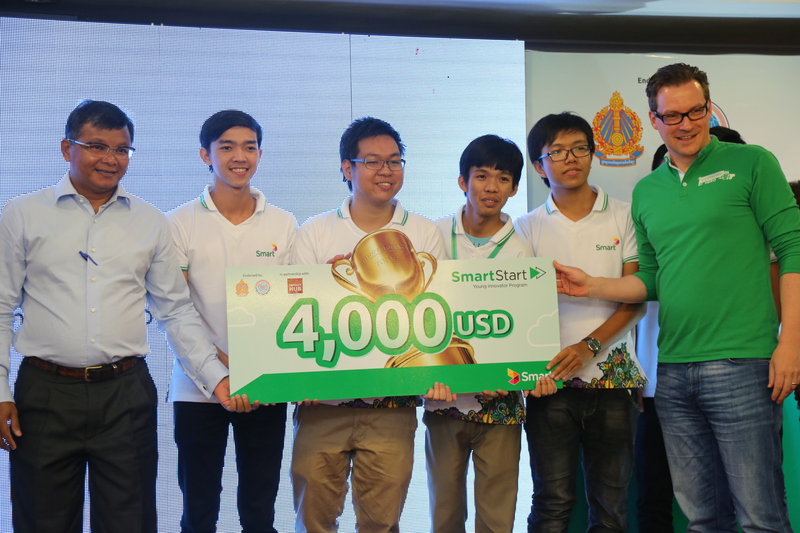 Both commended the hard work and vision of young Cambodian entrepreneurs taking part. 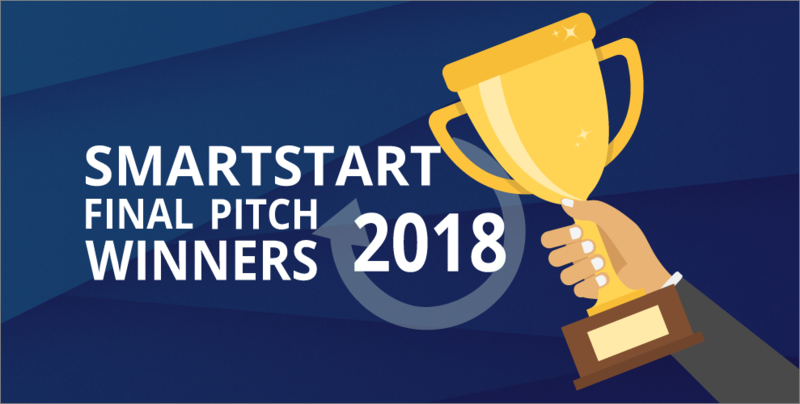 Congratulations to all the winners, and we look forward to seeing which team is determined to have shown the most progress at the end of the incubator period, and is chosen to travel to Singapore on an all-expenses paid trip to visit world-known businesses like Google, Microsoft and Facebook.